Silwood Technology Ltd, a supplier of enterprise application metadata intelligence software, has announced that Safyr® now provides users of SAP and SAP Business Warehouse (BW) greater visibility and intelligence about the data connections between the two products. The company has also enhanced product features for GDPR data discovery. For data professionals, Safyr’s new capability to show the BW Extractor functions solves the long-standing challenge of tracing the origin of data represented in SAP BW. This is especially important as trust in the data provided by any BI environment is based on the reliability of the data’s provenance. Safyr is the only dedicated metadata discovery software product for SAP and enables users to access, understand, share and utilise the underlying data structures of SAP applications. Customers can now use a new SAP Hierarchy within Safyr to find the tables in SAP ERP that are accessed by the SAP BW Extractor programs. Nick Porter, Technical Director of Silwood Technology comments, “customers and prospects have been asking for this BW Extractor capability for a while, as it provides new insights into how data flows through the SAP landscape. “We’ve also enhanced some of the features we introduced in Safyr last year to further ease the GDPR Personal Data discovery process. While the headline feature of this release is the new BW Extractor capability, every existing user will benefit from upgrading”. In terms of GDPR, Safyr offers features such as marked field which enables users to easily isolate all instances of a particular term (e.g. “birth) across an entire system; and metadata reporting which enables faster and more effective collation and management of Personal Data. 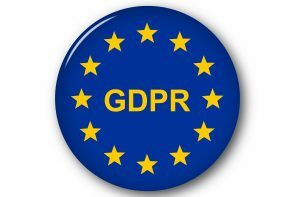 Silwood Technology also recently tested 5 major ERP and CRM packages for GDPR personal data.